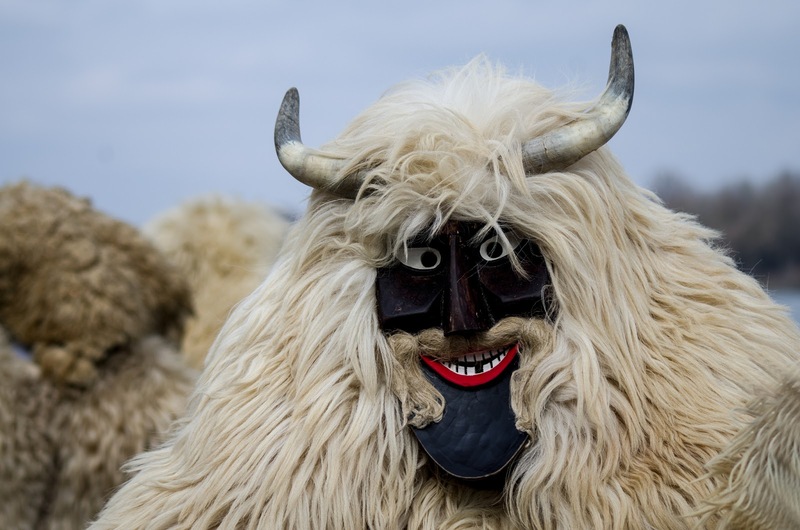 The Busó festivities at Mohács in southern Hungary are a six-day carnival in February to mark the end of winter, named for the ''busós,'' frightening-looking costumed people (traditionally men) wearing wooden masks and big woolly cloaks. The festival is multifaceted, including a children’s costume contest, a display of the art of mask carvers and other craftspeople, the arrival of more than 500 busós in rowboats on the Danube for a march through the city alongside horse-drawn or motorized fantasy vehicles, the burning of a coffin symbolizing winter on a bonfire in the central square, and feasts and music throughout the city. The tradition originated with the Croatian minority in Mohács, but today the busó is a general emblem of the city and a commemoration of the great events of its history. More than a social event, the carnival is an expression of belonging to a city, a social group and a nation. It plays an important social role by offering a chance for self-expression in a communal setting. The arts underlying the festivities are preserved by self-organized groups of busós of all cultural backgrounds, many of whom pass on the techniques of mask carving and ritual celebration to younger generations. 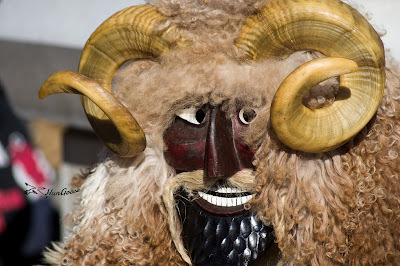 for the ''busós,'' frightening-looking costumed people (traditionally men) wearing wooden masks and big woolly cloaks. The festival is multifaceted, including a children’s costume contest, a display of the art of mask carvers and other craftspeople, the arrival of more than 500 busós in rowboats on the Danube for a march through the city alongside horse-drawn or motorized fantasy vehicles, the burning of a coffin symbolizing winter on a bonfire in the central square, and feasts and music throughout the city. The tradition originated with the Croatian minority in Mohács, but today the busó is a general emblem of the city and a commemoration of the great events of its history. More than a social event, the carnival is an expression of belonging to a city, a social group and a nation. It plays an important social role by offering a chance for self-expression in a communal setting. The arts underlying the festivities are preserved by self-organized groups of busós of all cultural backgrounds, many of whom pass on the techniques of mask carving and ritual celebration to younger generations.